all of them have sprinkles on top! 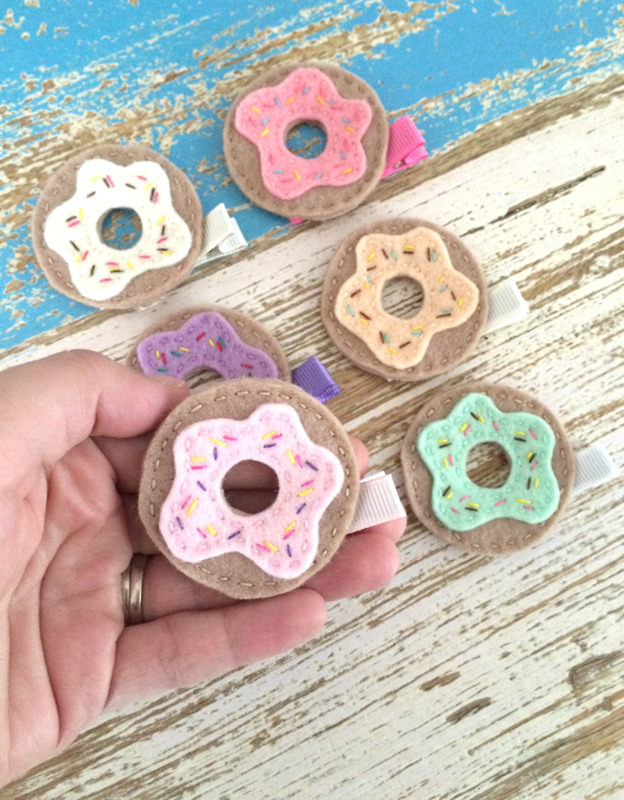 Doughnuts are hand-stitched from 100% pure new wool felt and attached to an alligator clip (fully covered with ribbon). Measures approximately 5 cm in diameter. Thank you for visiting Plushka's shop!